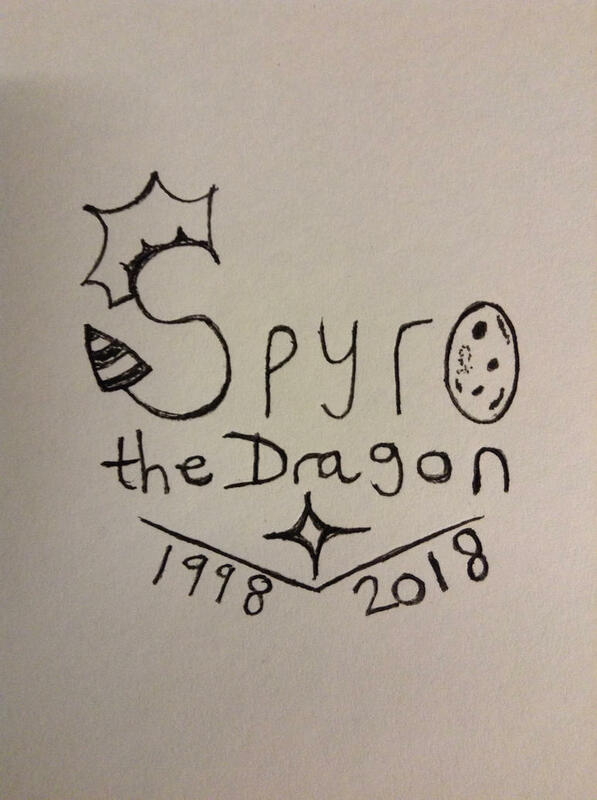 Hi guys, recently I've been thinking of drawing something regarding Spyro's 20th Anniversary, which is this year. 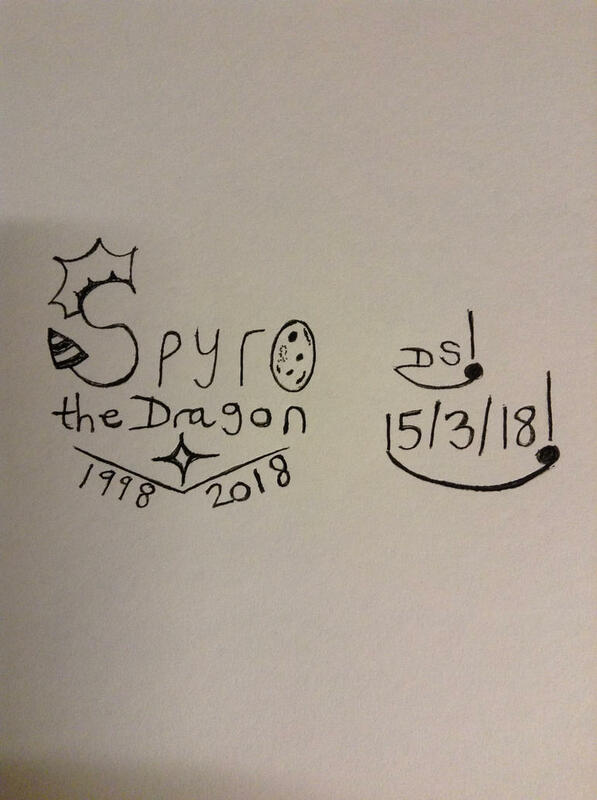 I did some rough drawings to give me an idea what I wanted this drawing to look like. I did like 2 rough drawings, and I felt that was enough to start working on the main drawing proper. 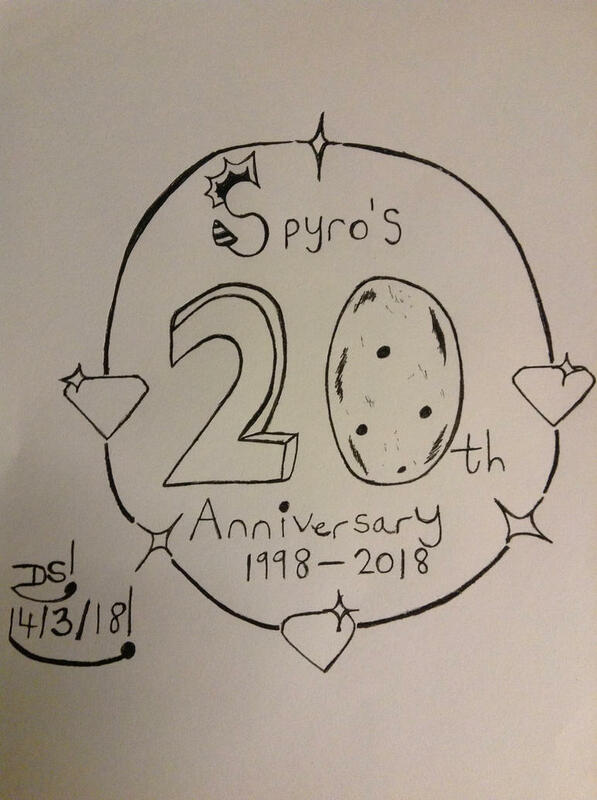 Here it is, I choose an Egg to represent the 0 number, sine you collect Eggs lol. 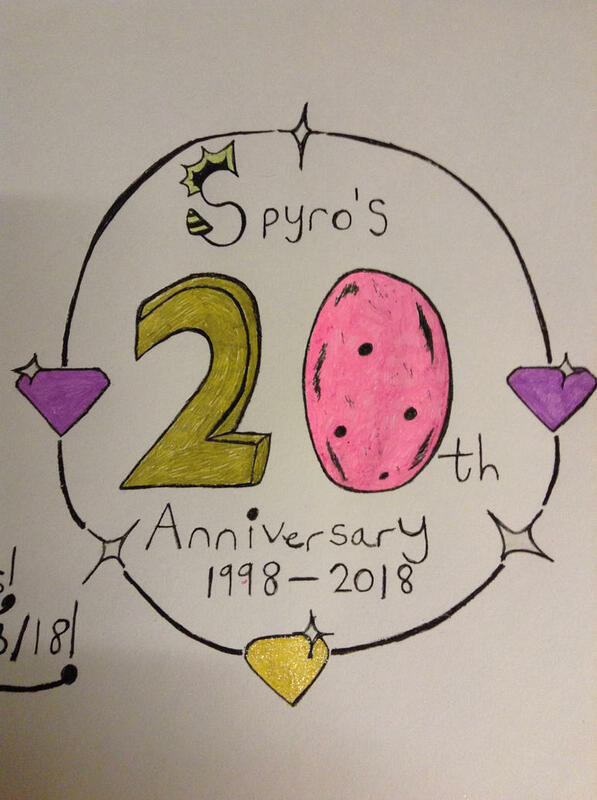 The gems around the side are actually two purple coloured gem, and a ten gem, which add up to 20 gems, 20th anniversary. However, this cannot be seen in this drawing, there's no colour, not yet. I want to show the non colour version first. 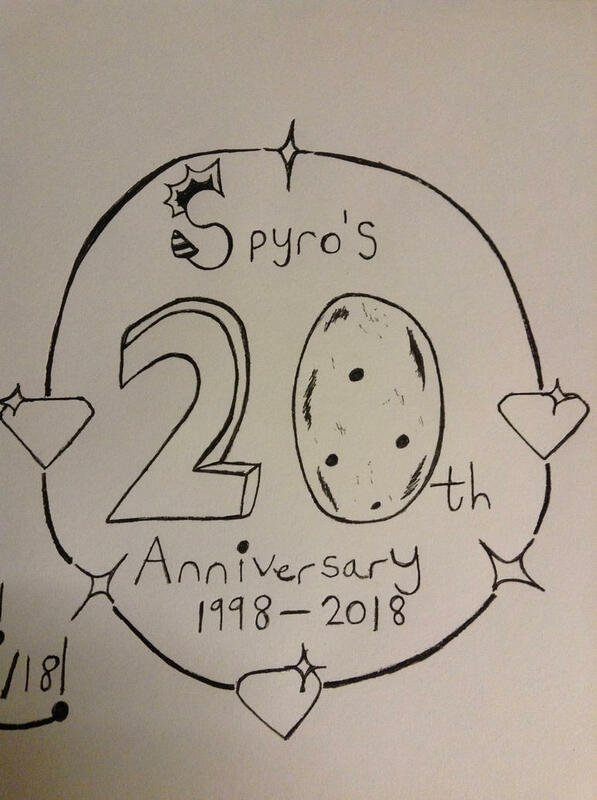 I will admit I went a bit far with the S letter, too much black on it, but oh well, it's not perfect by any means, I think I forgot there's not much black there. 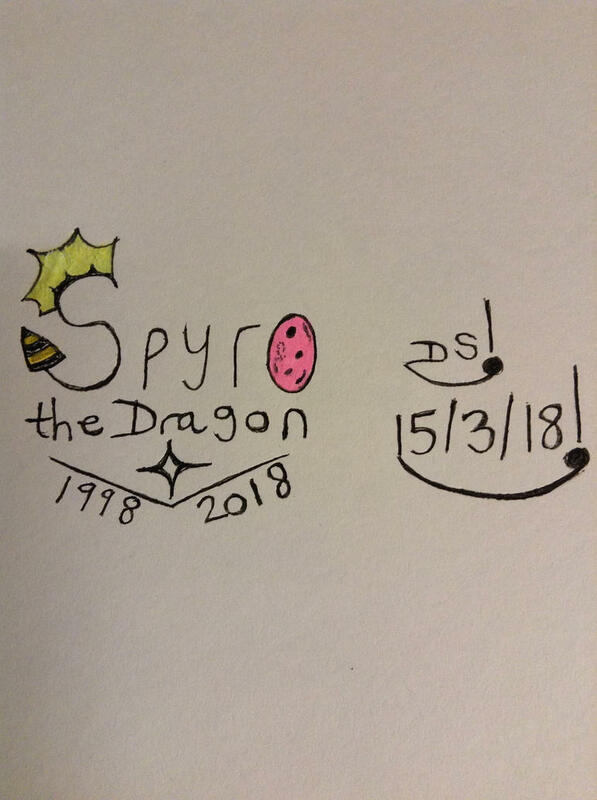 I hope you guys like this, Spyro is my childhood, and this is many people's childhood, we cherish Spyro's PS1 games where it all began fore the purple dragon, and this year is Spyro's year to breathe a whole new flame, he's flying back into gaming, with the remastered version, let's hope it's a great comeback. 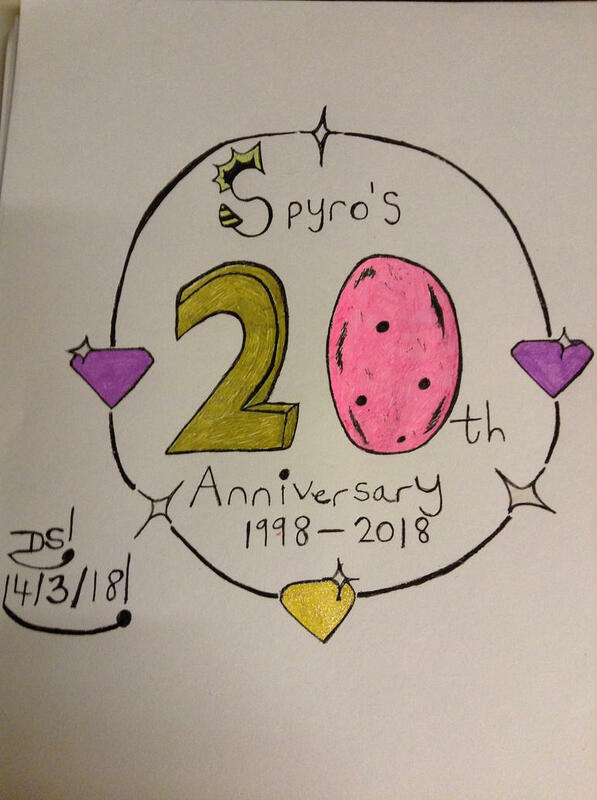 Hi guys, this is the coloured version of my Spyro 20th Anniversary drawing. It looks a bit meh in places, some colours are not that right, but I tried my best with what I had regarding colouring pens. Hi guys, I have a new drawing to submit here, man it's been a while. 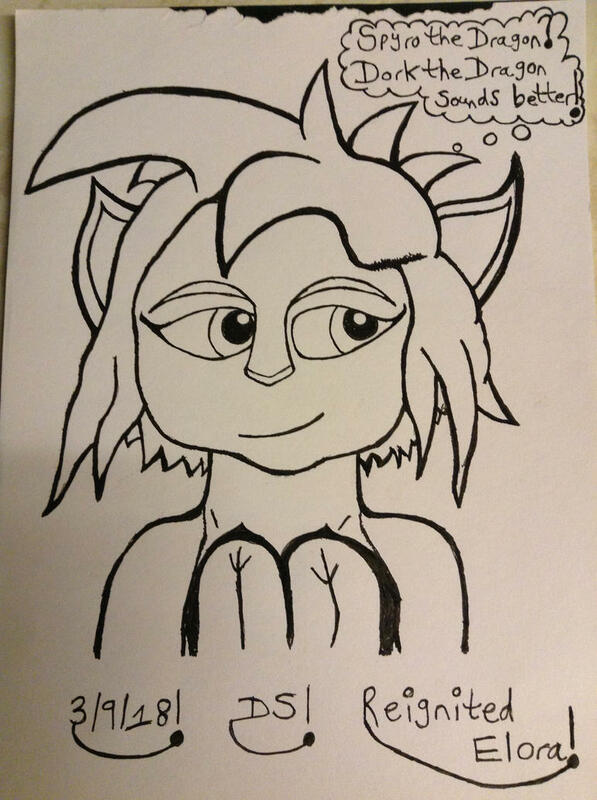 Recently Elora new appearance was revealed in Spyro Reignited Trilogy which sparked many people to draw her new look. 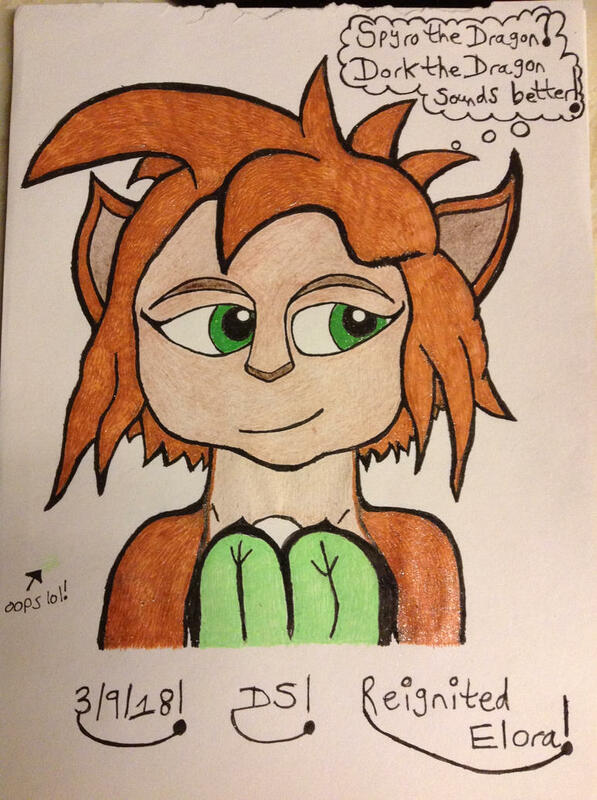 I am a bit late to the party, but here it is, I drew Elora from Reignited. 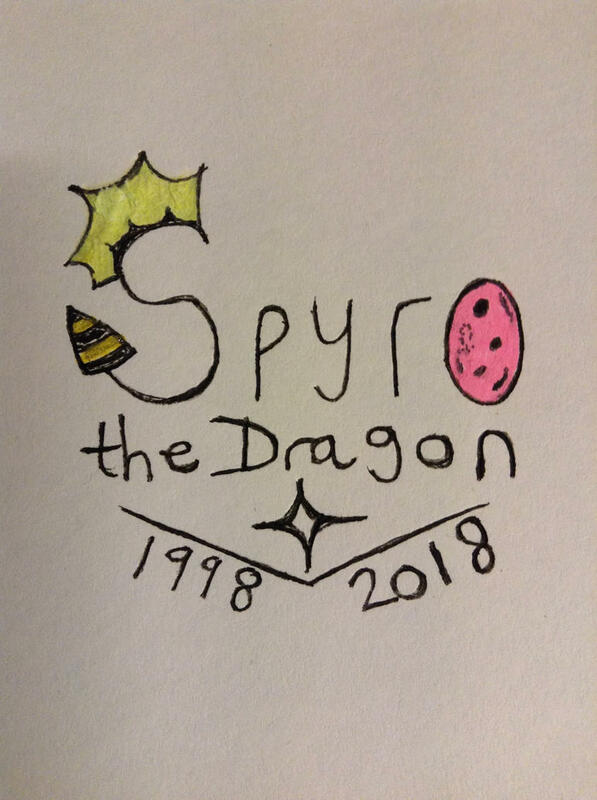 It's not that accurate, but I tried my best. Here are 2 versions, black and white, and colour. Thank you for looking guys.